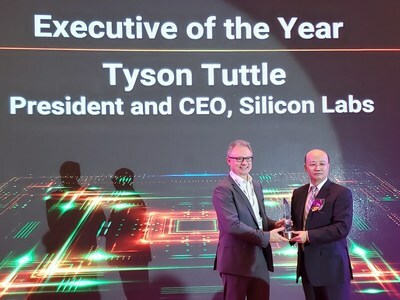 ASPENCORE Names Silicon Labs' Tyson Tuttle Executive of the Year at Global CEO Summit - Silicon Laboratories Inc. The Silicon LabsEFR32 Wireless Gecko also won top honors as the WEAA's Product of the Year in the RF/Wireless/Microwave category. Wireless Gecko devices provide IoT developers with the multiprotocol capabilities, design flexibility, simplicity and security needed for a wide range of smart, connected applications.